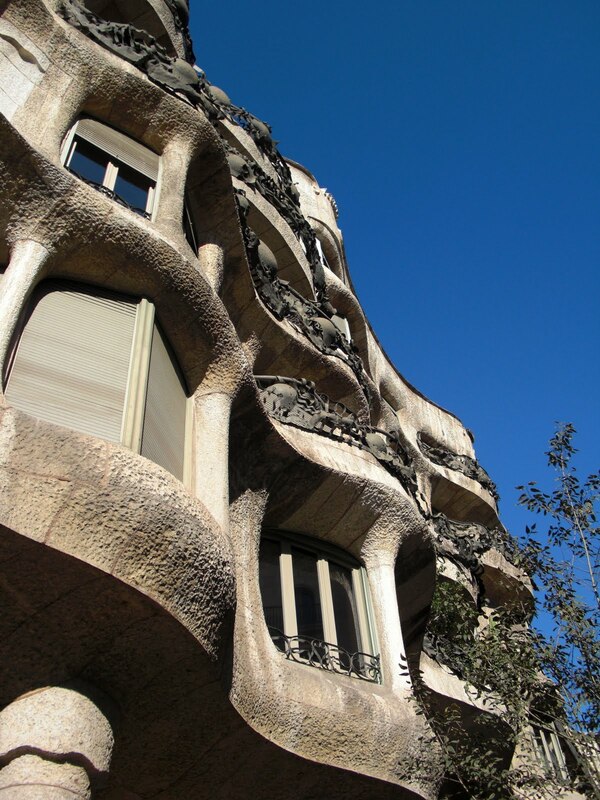 La Pedrera (also known as Casa Milà) was built from 1906-1912, much later than the Palau Guell seen below, which dates from 1895-1890. 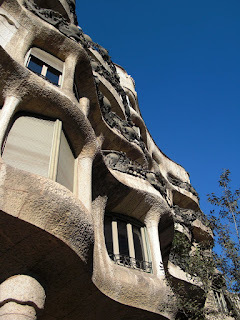 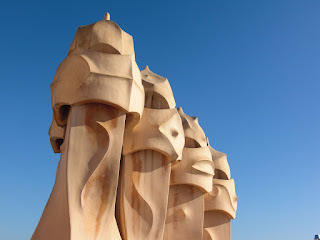 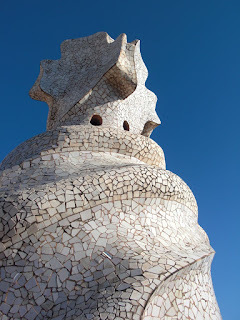 Gaudì is working in a more fanciful style here, using more thoroughly organic, flowing forms interpreted from nature. 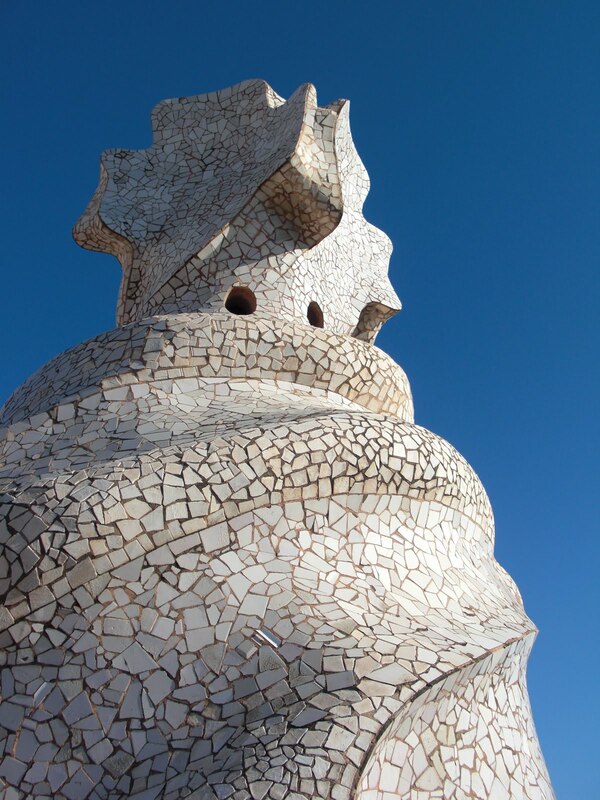 Again, the rooftop is a magical space of chimney-top soldiers and staircase towers that resemble the forms created in windblown sand.